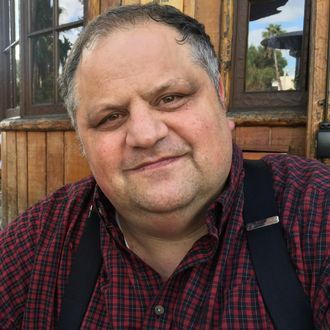 When the science journalist Steve Silberman started writing the book that would become NeuroTribes: The Legacy of Autism and the Future of Neurodiversity, he and his publisher thought it would take about a year and a half to write. Five years later, the book’s finally out (it was released late last month), and the scope of its 500-plus pages — a whirl of science history and contemporary reporting on autistic people and their families — makes it clear why it took half a decade to write. Autism is a big, messy, complicated subject, especially when you factor in the panic that’s been unleashed by the spread of false notions of a link between the condition and childhood vaccines. But despite the depth of Silberman’s dive into the subject, some very important, very simple — at least in theory — ideas pop out. The cure-focused conversation about autism has led to speculation about possibly snuffing out the disorder through genetic tweaking or other means, and Silberman is very wary of these ideas. “The chance of flipping a switch in the genome somewhere and making those people go away is probably not practical — and it’s probably not advisable,” he said. That’s because while autism can bring a lot of heartache to those who have it and their families (everything from compulsive self-injurious behaviors to, in the most severe cases, violence directed at others), seems to also be associated with a lot of positive characteristics, like “enhanced pattern-detection abilities, or the ability to focus for long periods of time on subjects of interest,” as Silberman put it. “And so if we flush the autism genes out of the gene pool, through, say, selective abortion — which I’ve heard discussed openly in videos by genomic start-up entrepreneurs,” there’s no way to know what we could be missing out on. “If we start trying to eliminate these conditions, we could really mess up the future of humanity,” he said.